Amerikal Products Corporation is the leading innovator and manufacturer of sustainable pressroom solutions. Founded in 1989, Amerikal is the first and only pressroom solutions manufacturer dedicated solely to developing products that offset petroleum usage, preserve natural resources, reduce energy costs, and eliminate hazardous waste streams, while improving work environments for employees by eliminating unnecessary exposure to unsafe chemicals. We produce No/Low VOC chemistry that contains Zero HAP’s & is compatible with packaging safety protocols. To develop and pioneer sustainable technologies that positively impact the industries we serve and world we share. To be the leader in developing sustainable technologies and products that will serve future generations for many years to come. 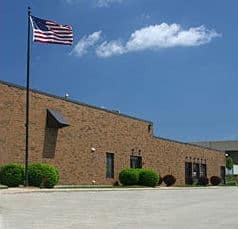 Located approximately 25 miles north of Chicago and 35 miles south of Milwaukee, Amerikal is the first and one of the only sustainable lean manufacturing facilities in our respective industry. The newly renovated facility houses manufacturing of all Genesis® products and laboratory facilities, as well as final assembly of the entire Amerikal equipment line. Our facility is capable of producing 18,000 gallons of sustainable pressroom chemistry per 12-hour shift. In 2007, state-of-the-art blending stations, equipped with variable speed and computerized controlled blending systems and new quality control capabilities were put into place to ensure the highest level of consistency and quality is maintained while manufacturing all Genesis chemistry. All improvements and enhancements were designed to adhere to Amerikal’s environmental standards. The overall goal of the renovation was to decrease energy consumption and increase overall productivity while maintaining one of the world’s cleanest and safest pressroom chemical manufacturing facilities.